Enteral Feeding Tubes. 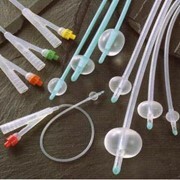 Kimberly-Clark/Ballard offers a wide variety of unique, high quality enteral feeding tubes, which are well recognized and accepted among health care professionals. Kimberly-Clark/Ballard Gastric Access Feeding Tubes are designed for delivery of enteral nutrition to the stomach. Available in conventional and low-profile designs. The Kimberly-Clark MIC-KEY* Low-Profile Gastrostomy Feeding Tube is unobtrusive and easy to conceal. Minimal external surface area allows air circulation around the stoma. Ease of care encourages patient involvement and self-sufficiency. Range of 62 sizes helps ensure a comfortable, proper fit to minimize the chance of gastric leakage. 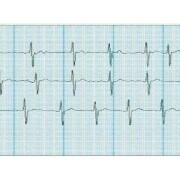 Proximal anti-reflux valve. Tapered distal tip recessed at 5ml. 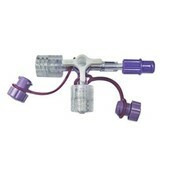 The Kimberly-Clark MIC* Gastrostomy Feeding Tube features medical grade silicone construction. Patented universal connector design helps provide a secure connection and preserve tube life. Ventilated SECUR-LOK* external retention ring allows air circulation around stoma for optimal stoma health and helps prevent tube migration. Integrated medication port. Graduated centimetre markings for tube position verification. Tapered tip eases insertion. The Kimberly-Clark MIC* Bolus Gastrostomy Feeding Tube offers graduated centimetre markings for tube position verification. Ventilated SECUR-LOK* external retention ring allows air circulation around stoma site for optimal stoma health and helps prevent tube migration. 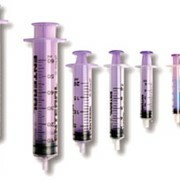 Feeding port accepts a wide variety of catheter tip syringes. The Kimberly-Clark MIC* Percutaneous Endoscopic Gastrostomy (PEG) Feeding Tube features the ventilated SECUR-LOK* external retention ring to allow air circulation around the stoma site and to help prevent tube migration. The PEG tray is designed to provide convenient access through sequential placement of tray components. Traction removable. Available in 14Fr, 20Fr and 24Fr sizes. Complete kits available for Pull and Push (OTW) placement. 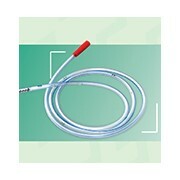 Kimberly-Clark/Ballard Jejunal Access Feeding Tubes are designed for delivery of enteral nutrition to the small bowel. Available in conventional and low-profile designs. The Kimberly-Clark MIC* Jejunostomy Feeding Tube is designed for surgical placement directly to the small bowel. Features dual silicone wings for anchoring the tube to the small bowel, a Dacron cuff to help prevent tube migration, and a large 9 Fr inner diameter to help prevent clogging. Kimberly-Clark/Ballard Gastric and Jejunal Access Feeding Tubes are designed for delivery of enteral nutrition to the small stomach while allowing simultaneous decompression of the stomach. The Kimberly-Clark MIC* Transgastric-Jejunal Feeding Tube allows for simultaneous jejunal feeding and gastric decompression for paediatrics and adults. 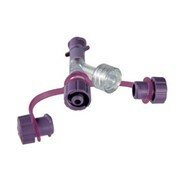 Multiple feeding exit ports improve flow and minimize clogging. Tungsten-weighted jejunal segment with high columnar strength helps tube maintain position, making maintenance easier. Patented universal connector design helps provide a secure connection and preserve tube life. 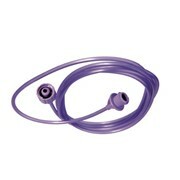 The Kimberly-Clark MIC-KEY* Low-Profile Transgastric-Jejunal Feeding Tube is unobtrusive and easy to conceal. Separate Jejunal and gastric ports allow for simultaneous jejunal feeding and gastric decompression. Multiple feeding exit ports improve flow and minimize clogging. Tungsten-weighted jejunal segment with high columnar strength helps tube position, making maintenance easier. 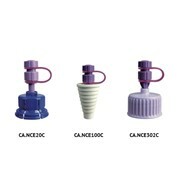 Kimberly-Clark MIC* accessories support gastric, jejunal, gastro-jejunal access feeding tubes and personal care tubes. Kimberly-Clark MIC-KEY* Feeding Tube Accessories are used with MIC-KEY* Low-Profile Gastrostomy and MIC-KEY* Low-Profile Jejunal Feeding Tubes. 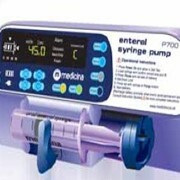 Features include the SECUR-LOK* "key" connection mechanism, clear tubing, tubing clamp and medication port on Non-Bolus Extension Sets. Individually packaged extension sets. Kimberly-Clark MIC* Feeding Tube Accessories are designed for use with MIC* Gastrostomy, Bolus Gastrostomy, Percutaneous Endoscopic Gastrostomy, Jejunal, Gastro-Enteric or Transgastric Jejunal Feeding tubes. Features either 6" or 12" extension tubing with Bolus and stepped connectors at opposite ends. Kimberly-Clark MIC* Percutaneous Endoscopic Gastrostomy Feeding Tube Accessories are for use with Percutaneous Endoscopic Gastrostomy Feeding Tubes. 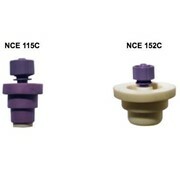 Choice of Universal Feeding Adapters or Bolus Feeding Adapters for use with 14Fr, 20Fr, and 24Fr MIC PEG. Individually packaged. From surgical apparel to medical devices - everything we do, everything we make is focused on protecting health care professionals and their patients. This means we work every day to develop and deliver quality products and to provide responsive customer service that you can depend on to meet your protection needs. Based on Kimberly-Clark's unique nonwoven polypropylene fabric technology, our Health Care products are designed to provide exceptional protection from penetration of blood, liquid-borne and airborne pathogens. From protective apparel to medical devices, everything we make, everything we do, is focused on protecting health care professionals and patients. This means we work every day to develop and deliver high quality products that you can depend on for the protection you deserve. We have a strong focus on education enabling you to take advantage of clinical presentations provided by Kimberly-Clark Knowledge Network on topics such as "Fire Safety in the Operating Room", and thorough training on the use and application of our products with our in-service programs. Mention MedicalSearch so Kimberly-Clark Health Care can best assist you! Get a callback from an expert at Kimberly-Clark Health Care to help answer your questions.